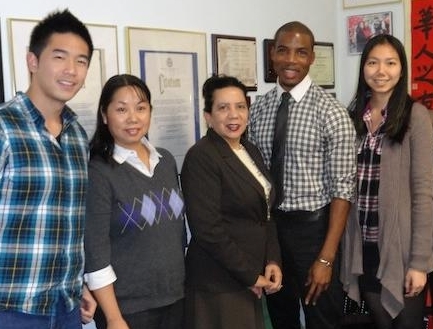 (Left to Right): Lenny Cheng and Wai Yee Chen (CPC-Brooklyn), former NYC Council Member Sara Gonzalez, Edric Robinson (our BK team) and Eunice Huang (CPC-Brooklyn). While we’ve made great strides in reducing the overall smoking rate in New York City, smoking remains a big problem in Asian communities. A New York Times article pointed out that tobacco smoking is still a “way of life” in the heart of the City’s Asian communities. A study published in Health Promotion Practice showed that high smoking rates in New York City’s Asian communities have persisted since 2012, especially among men. Smoking rates were particularly high (40.1%) among Chinese men living in the Sunset Park neighborhood of Brooklyn. 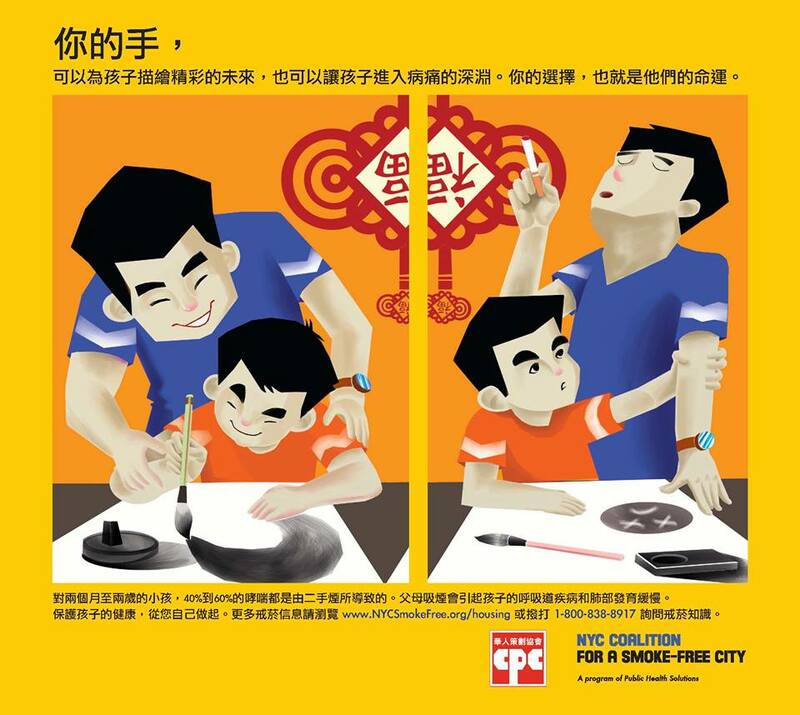 To address this disparity, our Brooklyn team and their community partner, the Chinese American Planning Council–the Brooklyn Branch (CPC-Brooklyn) designed a public service ad campaign targeting Chinese (Mandarin)-speaking men to advocate for smoke-free housing in a culturally relevant and pertinent way. We’re pleased to announce that the campaign will run in issues of Epoch Times, Sing Tao, and World Journal this week. According to the CPC-Brooklyn, a child’s future is the foremost priority for many Chinese parents. Therefore, in the campaign, we contrast two Chinese homes, each with different futures for the child. November 21, 2013 marked the American Cancer Society’s 38th annual Great American Smokeout, a day to encourage smokers to quit. 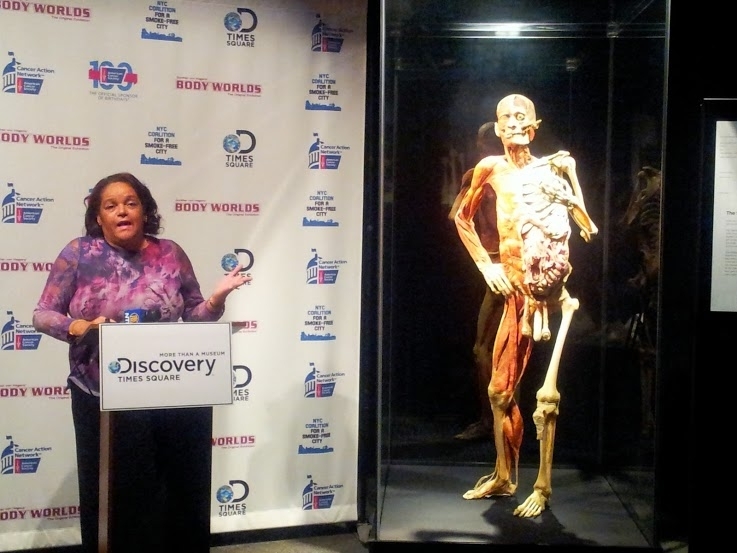 This year, the NYC Coalition partnered with the American Cancer Society (ACS) and the American Cancer Society Cancer Action Network (ACS CAN) held an event to celebrate the occasion at BODY WORLDS: Pulse, an exhibition that displays preserved human bodies and reveals inner anatomical structures. Throughout November 2013, BODY WORLDS will have a free display in the main lobby of the lungs of a smoker and non-smoker side-by-side. 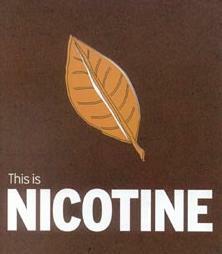 We’ve met many teenagers who support our work and understand nicotine addiction. Felipe Fernandez, a 19-year old smoker, talked with members of the NYC Coalition and feels strongly that we need to do everything we can to keep cigarettes away from kids. May 31, 2013. 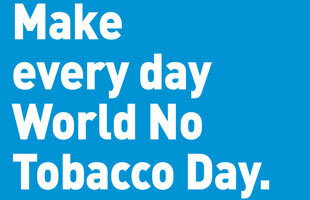 Today is World No Tobacco Day. The message from the World Health Organization to governments around the globe is to ban tobacco advertising, promotion and sponsorship. That’s to try and prevent children from taking up smoking and to encourage smokers to quit. Tobacco kills nearly six million people every year, and the numbers are only expected to rise.